Instead of just large areas of suburban housing, we need to create district centres in each of our large suburbs. These centres would be like a village main street within a suburb with a cluster of facilities such as shops, a post office, cafés, pubs, restaurants, crèches, offices, a garda station, a library, religious buildings, offices and local businesses. Increased densities in these village centres support public transport. 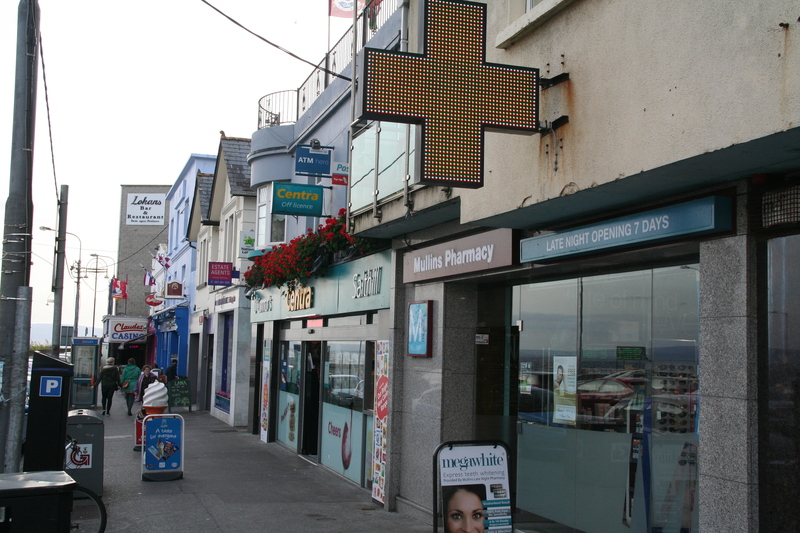 Salthill is a good example of this where Upper Salthill acts as a main street for the suburb. The ‘main streets’ of Ranelagh and Rathmines suburbs in Dublin are other successful examples. Such centres can become vibrant places for locals to visit and be in. They can also give a focus to a neighbourhood as well as allow residents to access many services locally on foot or by bicycle. Some of these district centres could be car free and would be ideal locations for weekly outdoor farmers’ markets. Inter-model transport hubs could also be established in some of these centres to facilitate public transport (See ‘Inter-model Transport Hubs’ in the ‘Infrastructure’ section). Suburbs that could have these types of district centre include Knocknacarra, Ballinfoile/Baile an Chóiste, Doughiska, Westside/Rahoon, Mervue/Ballybane, Renmore/Murrough and the new suburb of Ardaun.